After a cold and rainy first day in Paris, Britt and I were excited to get a little reprieve from the rain on our second day in the city. It was still a very cold morning, but at least the rain didn’t arrive until the afternoon. 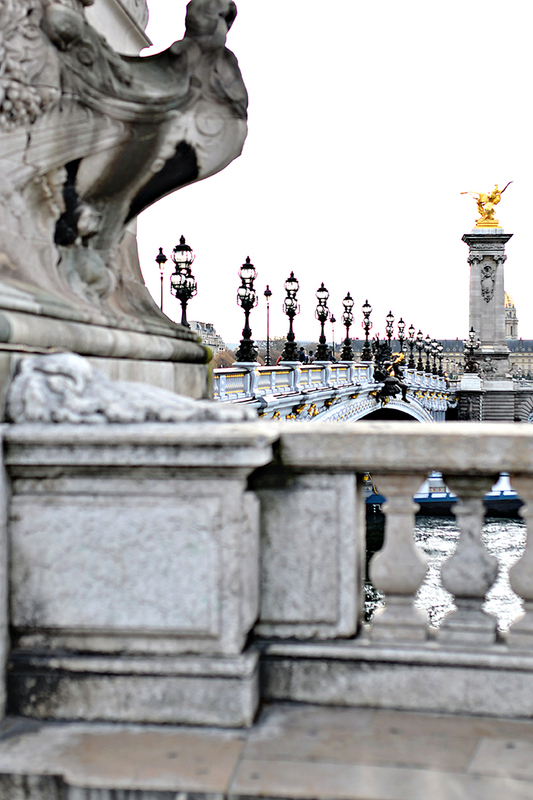 We started our day with breakfast at Laduree and then took advantage of the dry weather and headed to my favorite bridge, Ponte Alexandre III. 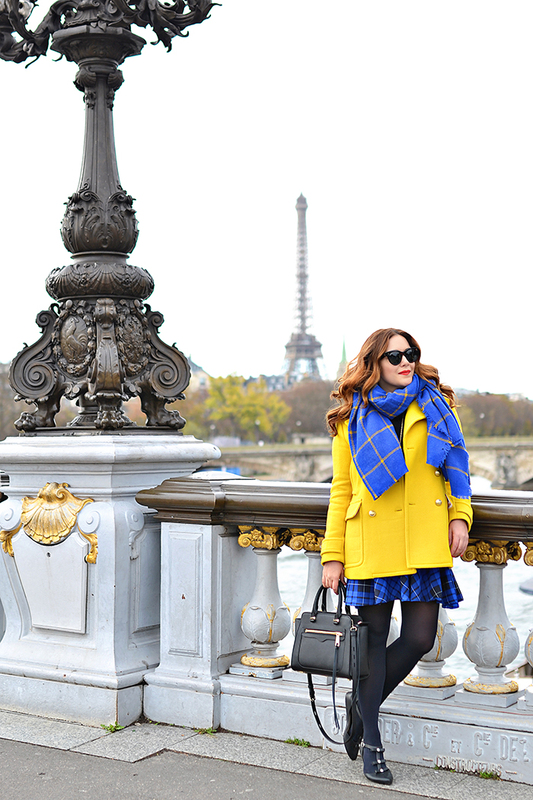 After snapping some photos we strolled down Rue Saint-Dominique, which gives a great view of the Eiffel tower. 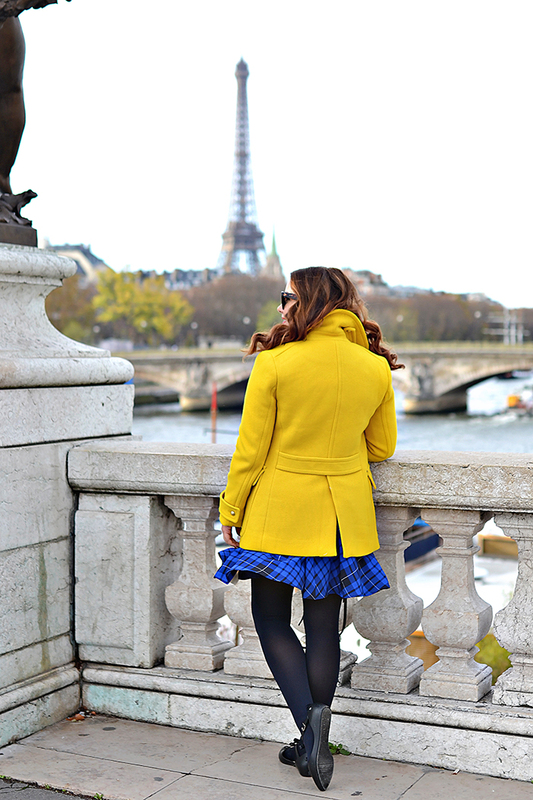 We walked all the way to the Champ de Mars before the rain and wind struck. For the occasion, I wore my new plaid dress from Brooks Brothers that my friend Kelly was kind enough to hem and bring to Florence for me. 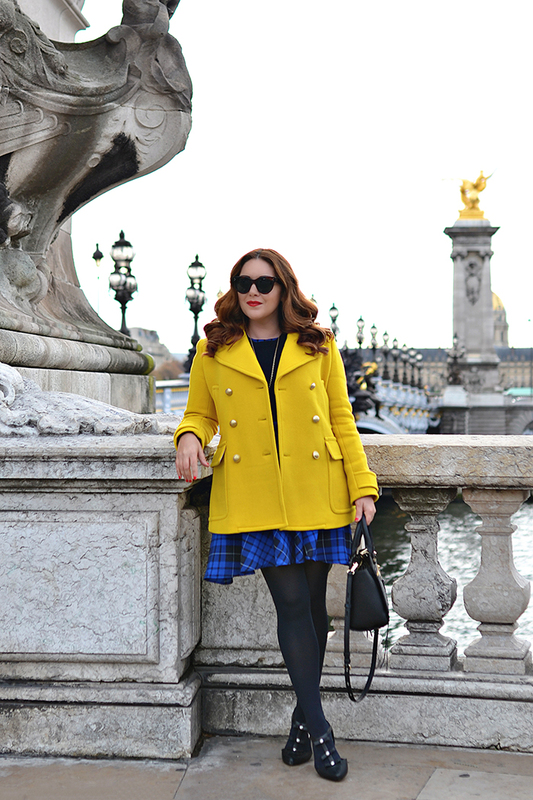 I wasn’t exactly prepared for the last minute cold snap, but fortunately Kelly also brought me my yellow J.Crew peacoat, which kept me nice and toasty. 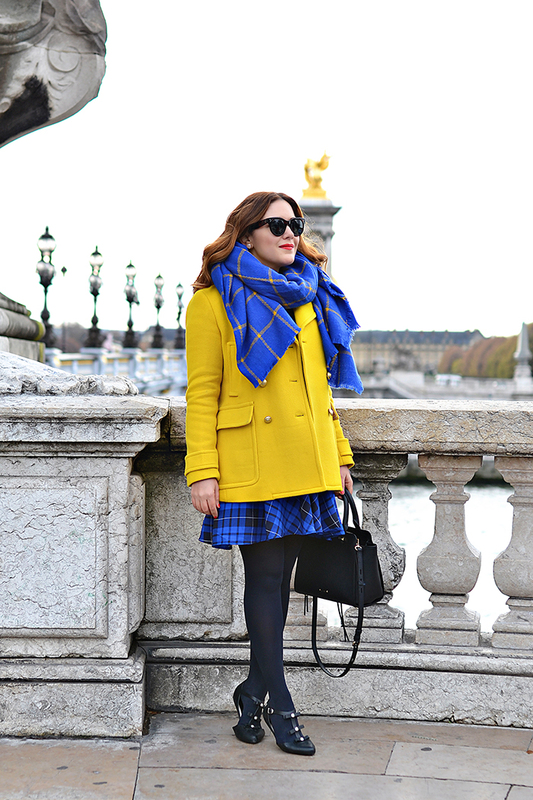 I love the bright yellow color of the coat paired with this navy and black plaid dress. To escape the cold and ridiculous wind that arrived that afternoon, Britt and I scurried to the Musèe d’Orsay, which not only has an amazing collection of impressionist and post-impressionist art, but also was exhibiting a special show on nineteenth century prostitution in Paris. The show was fascinating to say the least and I highly recommend it. After a long and cold day, Britt and I warmed ourselves with some hot wine and yummy falafels (I am obsessed with the falafel in Paris) before collapsing in our hotel room. On another note, I hope everyone had a happy Thanksgiving yesterday. I have to say it was weird going to work. Fortunately, Jen hosted a wonderful dinner at her house complete with turkey and stuffing! 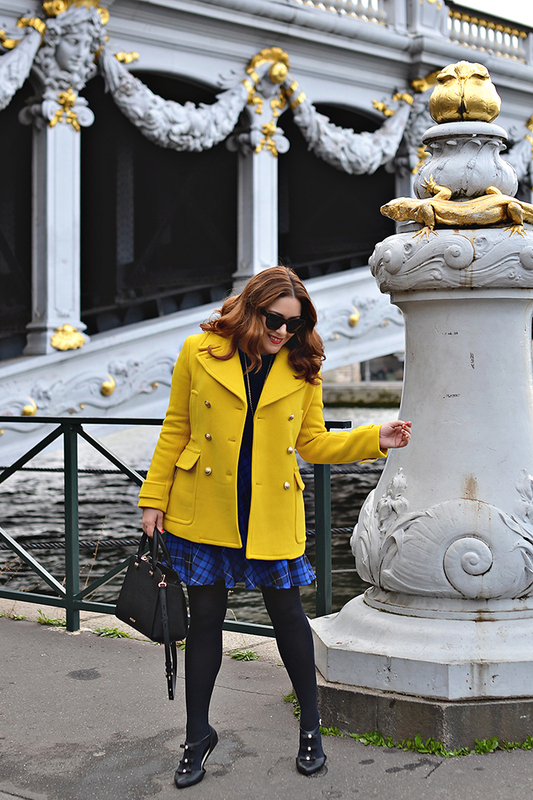 I am sad I am missing all the great shopping today (my yellow coat is on super sale), but it is probably for the best! PS - The Preppy Printshop is have its own Black Friday special, buy one 8X10" print and get one FREE! Click here for more information.